Compass, M.I.9. pattern, wrapped in transparent waterproof material. Stores ref. 22P/15. Comprises a standard 0.5" escape compass with 'star' rotor encased in a small plastic pouch to seal against humidity. 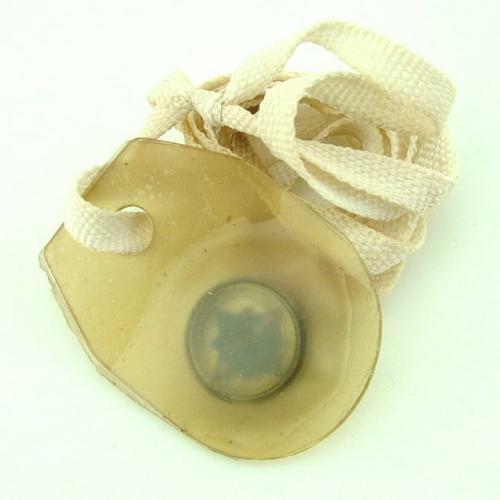 A simple cotton tape was added so the compass could be worn as a locket around the neck. Could be used by an evading or escaping airman to head for neutral territory. Issued with the Beadon flying suit and many escape packs/kits. Some light soiling but in very good working condition overall. Stock code E21350.